The iPad blank screen or iPad blank screen of death is not a new thing to several iPad users, and it’s among the most annoying things that can happen to your iPad. Some people get nervous at the mere thought of it, while others come into the uninformed decision that it is time the iPad be trashed or retired. Whatever the case, it is not a good position to be in. Why does My iPad Screen is Blank? Several things can make your iPad to have the black or blank screen of death. Among the several causes is trauma on the iPad, such as that is caused by a fall. It could also be a small issue as a low battery, some apps not working correctly, iOS update or operating the idevice in an environment that is too hot. How then can I fix it when my iPad screen is blank? Step 1: Press down the “Home” button and the “power” button together for about 25 seconds, until the Apple logo appears. Step 2: Continue to hold the “Home” button, while you release the “power” button. Step 3: Release the “Home” button once the iPad restarts, and wait for it to finish. 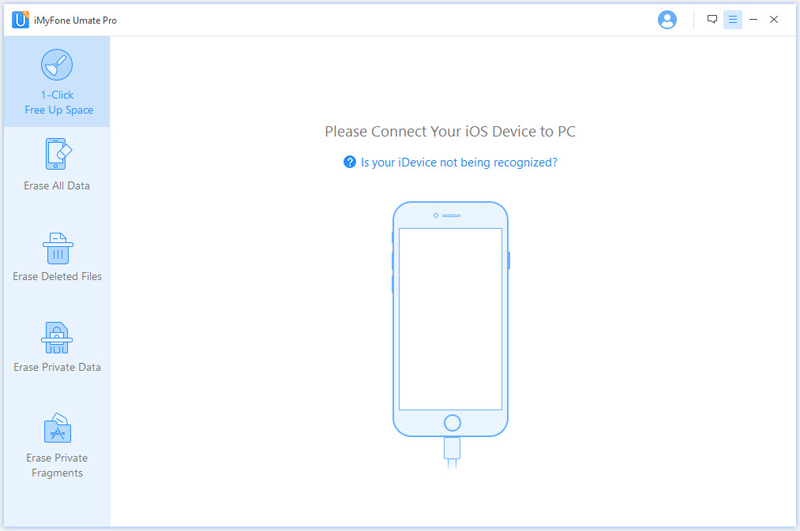 Step 1: Ensure that you have the latest version of iTunes installed and that the iPad is completely shut down. 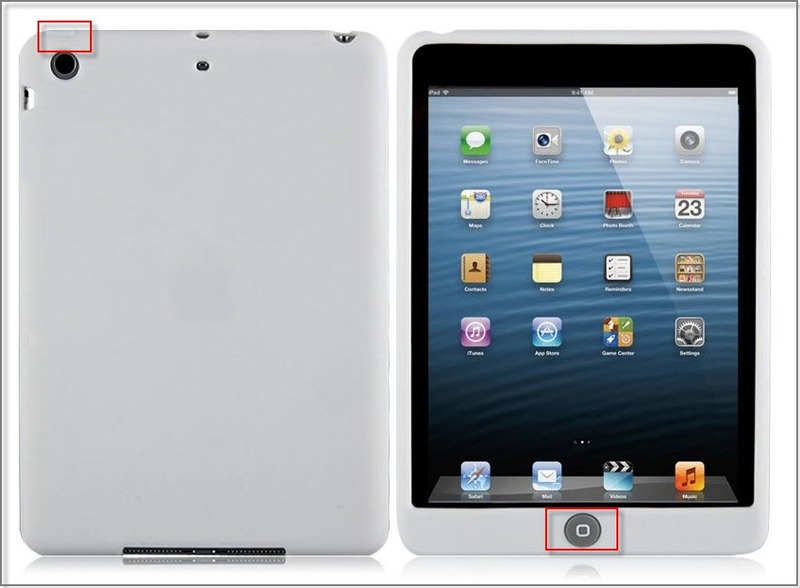 Step 2: While pressing and holding the home button, attach the iPad to the computer. Never release the Home Button until after iTunes detects the connected iPad. After that, iTunes will carry out the recovery process by itself. Step 3: After a while, the iPad will have recovered and will not show the iPad screen blank again. 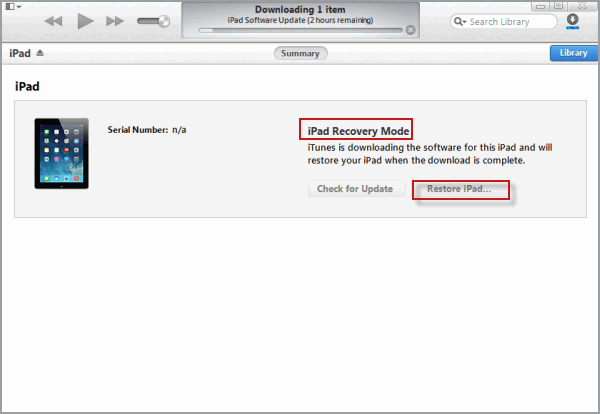 It is possible to lose some or all your personal data and settings when you recover your iPad 2 through this method. Try to connect your iPad to a power outlet and wait several minutes. Charge it for at least 10 to 20 minutes before using it. This might work in some occasions, and it is also the easiest way to fix iPad blank screen. iPad blank screen can occur if your iPad is operated under intense temperature conditions. If the temperature is too hot, simply place your iPad in a cool area for few hours to allow your device cool down. And if the temperature is extremely cold, place your iPad in a warm but not hot area for few hours to allow it warm up. Endeavour and always use your iPad where the ambient temperature is between 00 and 35o C (320 to 950 F). Also, using your iPad in extremely cold conditions out of its operating range might temporarily reduce the battery life. The battery life will return to normal when you bring your iPad back to a better ambient temperature. Some apps might have been installed on your iPad that may cause iPad blank screen. Therefore, It is essential you clear apps cache and corrupted files regularly especially for the apps you use frequently. Mere deleting cannot totally erase Apps cache and corrupted apps from your iPad 2; you need a specialized iPad eraser to completely erase them. 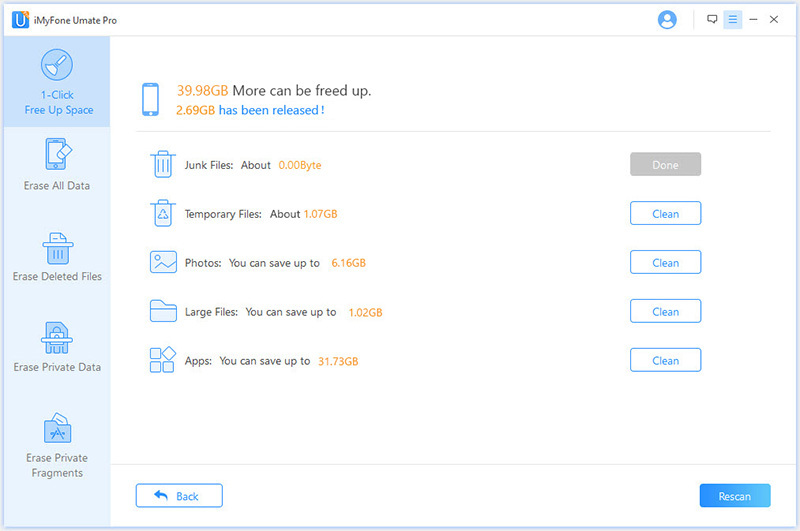 iMyFone Umate Pro or iMyFone Umate Pro for Mac is a professional iPad eraser software that will completely erase apps cache and corrupted files in "1-Click Free Up Space". Besides, the other four modes of it are also very useful for an iPad owner. Erase Private Data will completely and permanently erase private data, while keeping your personal information safe. Erase Private Fragments find out all private traces produced by third-party apps and permanently destroy them. Erase All Data allows you to remove all of the data from your iPad permanently beyond the limits of the factory reset. Step 1: Download the software in your computer, connect your iPad to it and launch the software. Step 2: When the software opens, tap on Junk Files tab. When the scan is completed, click on “Clean” to begin erasing all the junk files from your iPad, including the some apps cache. Step 3: Click on Temporary Files tab and then on click on Clean, so all the temporary files will be deleted, including the iPad corrupted files. With enough free space on your iPad 2, the problem of iPad blank screen can be eliminated and you also have more space to make more fun out of your device. 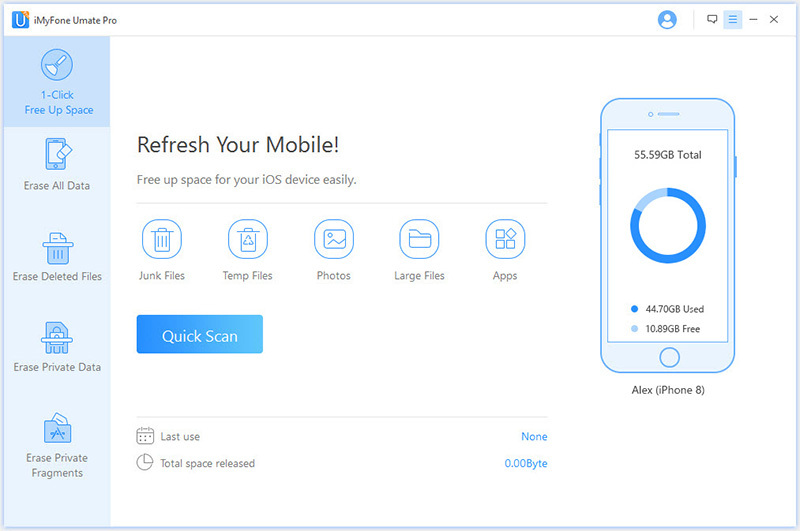 You can make use of the “Erase Private Data” on iMyFone Umate Pro to delete some unnecessary files. The steps are very simple. Step 2: Select the “Erase Private Data” mode and let it scan your data. Step 3: After scanning, select the files you want to delete. Click the “Erase” button and then type "delete" into the box to confirm.